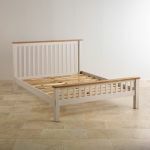 Give your bedroom a fresh, chic country feel with this lovely double bed, finished attractively with the contrast of rustic oak and smoothly painted base in putty with lavender undertones. 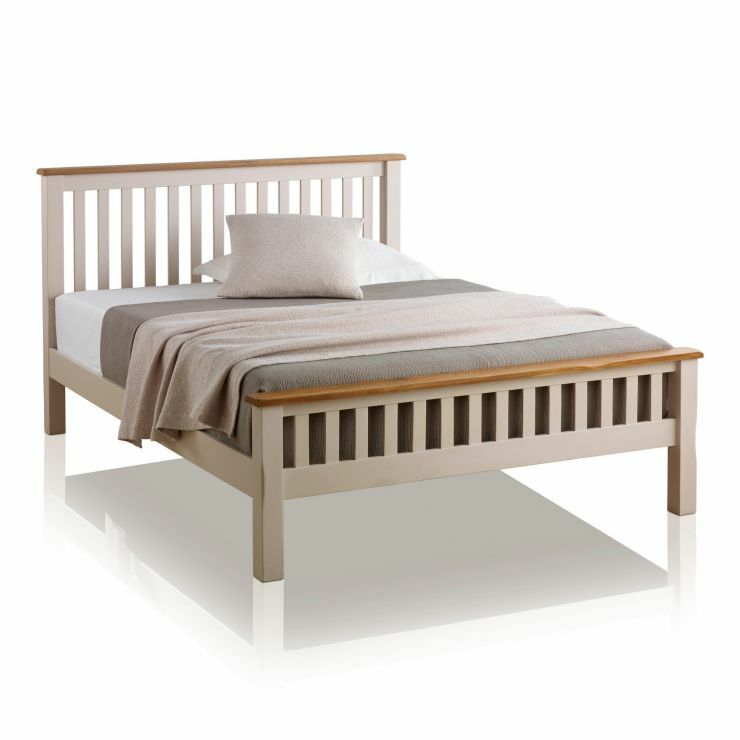 Teamed with other Kemble pieces, the calm colour will make a peaceful haven of your bedroom. 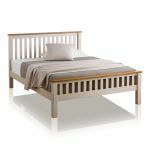 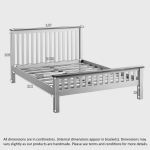 The stylish bed frame is made from 100% solid hardwood with a solid rustic oak top on the headboard and footboard completing this distinguished look.